The Coach House Country House. Departing Waterford, the R675 brings you to Tramore, Ireland’s quintessential Victorian seaside resort, the first stop along this smorgasbord of coastal and mountain scenery. 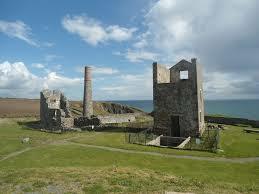 Driving towards Newtown Head, look for the Metal Man perched on one of three pillars on the headland. The 15-foot sailor was erected by Lloyd’s of London to stem the flow of ships mistaking Tramore Bay for Waterford Harbour. 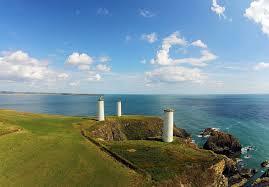 Tramore is festooned with sandbanks, and its history tells of tides and winds claiming one shipwreck after another. From here, continue west (via R675) along the Copper Coast, a UNESCO European Geopark named for its 19th century mining heritage. Take a left pretty much anywhere off this route, and you’ll find hidden coves strewn with sea stacks that could have been airlifted from the Algarve. Curving around the horseshoeshaped Kilmurrin Bay, it comes as no surprise to learn the place was once a smuggler’s paradise. 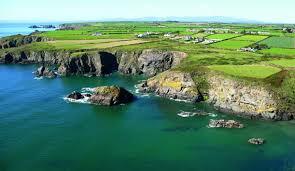 It’s a hypnotic route, spotted with Blue Flag beaches, stunning views (in wintertime, possibly even including passing whales) and pretty villages like Annestown and Stradbally. 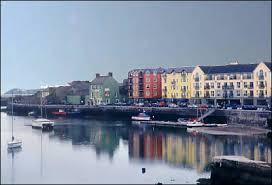 After this stretch, break in Dungarvan for a bite and a browse, before swapping the coast for the Comeragh Mountains. From Dungarvan, the R672 links with Ballymacarbry, where a right turn takes you through the walker’s wonderland that is the Nire Valley. 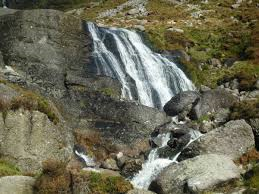 Continuing east to the R678 and R676 crossroads, there are two options – turning north to Carrick-on-Suir before taking the N24 back to Waterford, or turning south (via R676) towards Mahon Falls, 240-foot waterfall tumbling spectacularly off the glaciated range. Heading back towards Waterford via Lemybrien (via N25)spare a thought for William Crotty, a notorious highwayman hanged in the city in 1742. 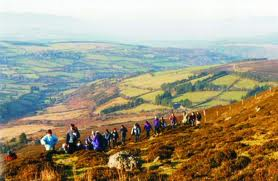 Crotty robbed coaches travelling along what is today’s N25, and his treasure is still said to be stashed amongst the corrie lakes in the Comeragh Mountains.